Major holidays mean passing dishes! 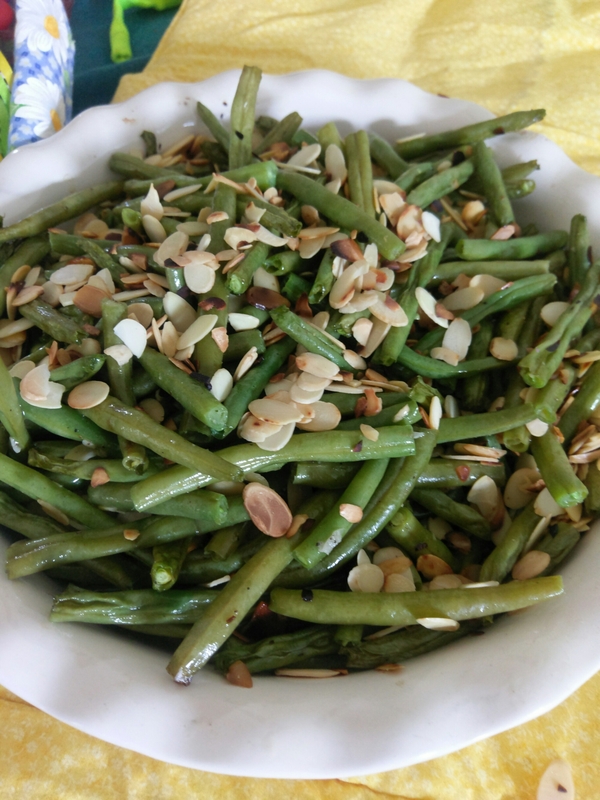 I was happy to meet up with our extended family today and made green beans with almonds as a passing dish. This is a nice fresh side dish dressed up a bit for the holidays, and super easy to make! Heat your oven to 350F, cut and clean the beans and place in a large bowl. Add garlic salt pepper and EVOO, toss to coat the beans. On a baking sheet bake green beans for 15 minutes. Meanwhile toast the almonds. Once beans are cooked through place them in a serving dish and toss with almonds. Serve hot! Enjoy!! Next Entry Time for Head Shots!